That's the next country...and haggis will definitely be on the menu. Requesting pics of any and all serving wenches. Me: "I'll have a pint of your best/strongest brew." Barkeep: "That'd be Guiness then." Local next to me: "Give us 2 pints o' Coors." Not a male within reach. I think the Coors is causing gayness...or the other way around. 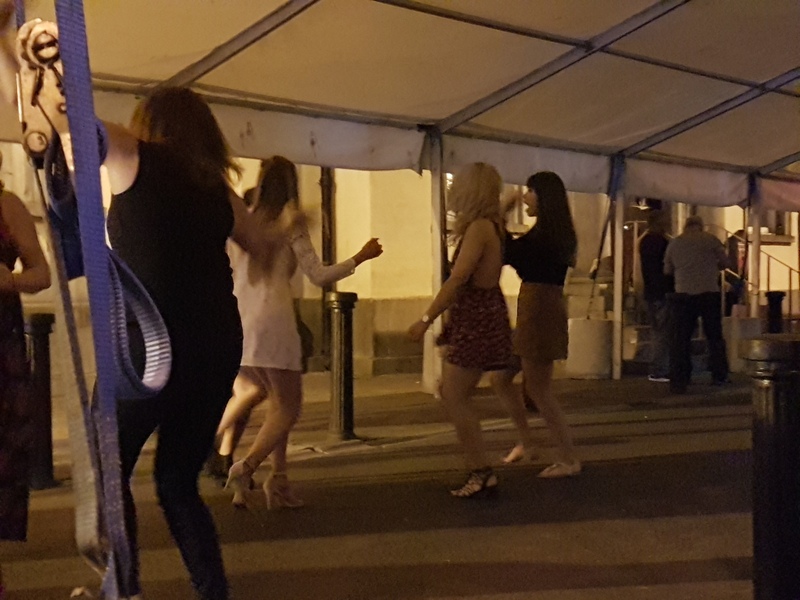 We're glad we spent thousands of $$ and traveled > 5,000 miles to immerse ourselves in the traditional culture offered at a street festival in this 500+ year-old Irish town: Pulled BBQ pork and a live band performing a selection of crappy American pop singles. Lol, maybe your B&B will have Irish Spring soap. Your wife will like it too. I could have put together a better Irish experience for you guys for a lot less money. Just let me know. I've even got a cinder block in the backyard you can kiss. I'll even play some U2 on the boom box while you do it. They'll be a slight fee for pics though. Swampy will be in a little later. Tonight is the night he has to change out the grease.